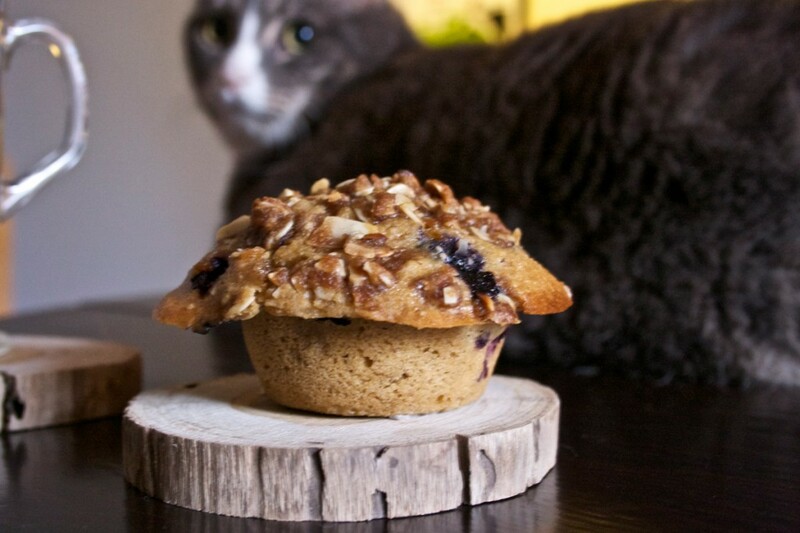 I flipped through my cookbooks and took to the internet to see if an oatmeal blueberry banana muffin recipe already existed. I found variations, but none the right combination, and all looked squat and dense. I fudged a recipe, in the hopes that I would not only make something delicious, but healthy, too. My first try, with mashed bananas, low-fat yogurt, and browned butter, was tasty and incredibly moist, but too filling. On my second try I would go all the way, and replaced the butter with coconut oil with the belief that it might make a lighter breakfast treat. 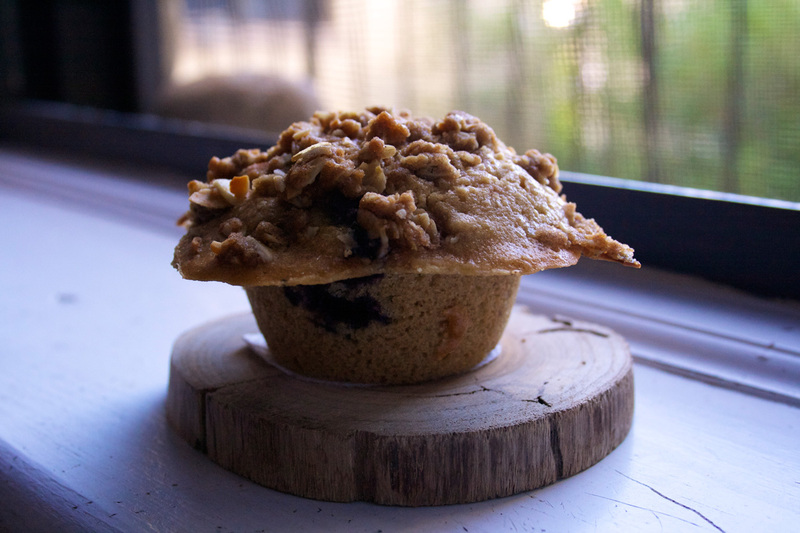 The result was a dry, dense muffin with too much generic sweetness. I decided to switch back to the butter for the next batch, but wondered if I should change the proportion of leaveners, the amount of salt and sugar. 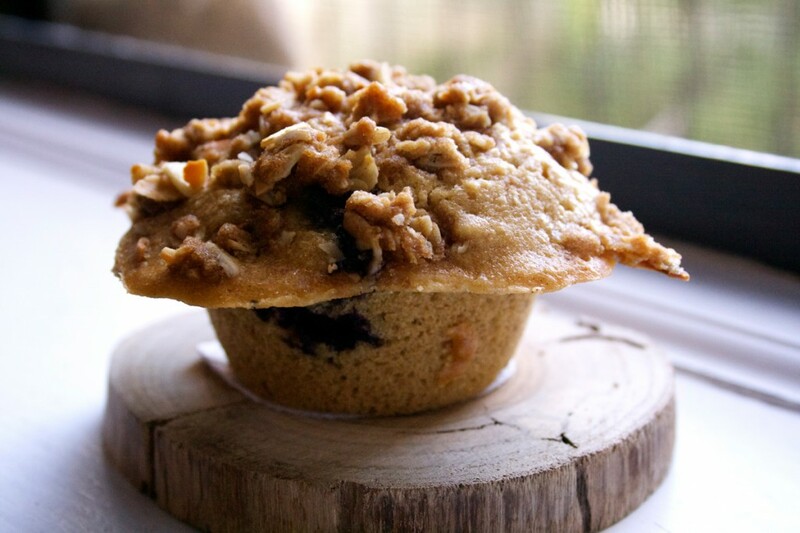 This led me back to my computer and to the discovery, finally, of an America’s Test Kitchen recipe for oatmeal muffins: tall, domed, beautifully caramelized. This was a muffin’s muffin. I got to work: toasted my rolled oats in a bit of butter, then ground them into a flour instead of dumping them, fully rolled, into my all-purpose flour mixture, as I had twice before. 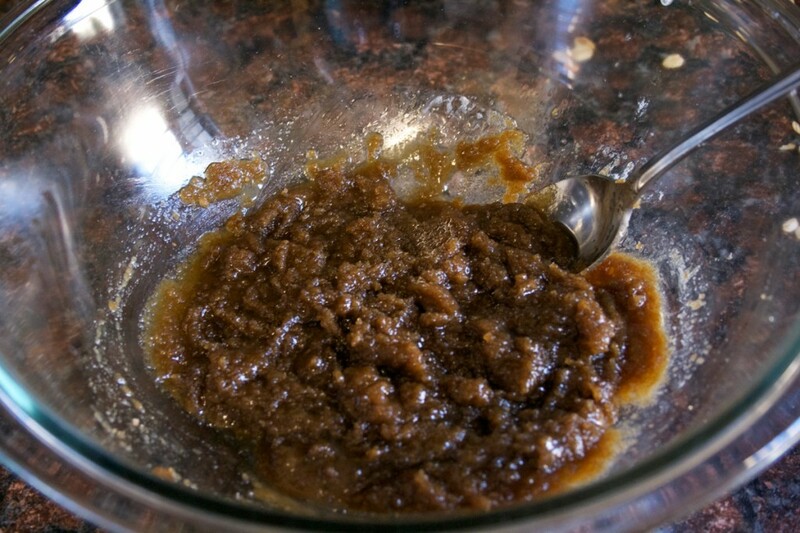 Added the rest of my dry ingredients, plus a half teaspoon of cinnamon, and moved on to my wet ingredients. More butter – more than might probably be deemed “healthy.” But sometimes you just need to do things right. It moistened the brown sugar like the ocean upon the sand at high tide. I had to ditch the yogurt as well; milk was required here. Makes sense: I don’t cook my oatmeal with yogurt, so why should I cook my muffins with it? Some tangy Greek yogurt would be available later, at another meal. This was not the time. The dry ingredients were folded into the well-combined wet with a whisk, slowly, so not to over-mix, and then left to sit for 20 minutes to thicken and let the oat mixture absorb the liquid. The smell was already intoxicating: sweet, nutty, warm and toasty. Meanwhile, I put together the crumb topping, something I had left out of the original two incarnations. More sugar, more butter, oats, salt, and cinnamon, but also healthy, toasted almonds. Still, I wanted fruit. 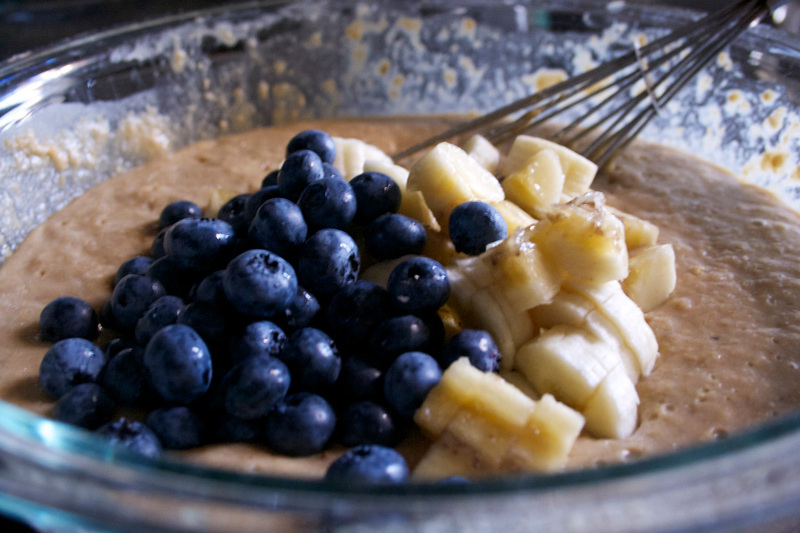 Oatmeal is not oatmeal for me unless it’s full of bananas, or blueberries, or peaches, or apples. They add a pop of brightness to the earthiness of the oats. A bit of summer sun to a yawning fall morning. 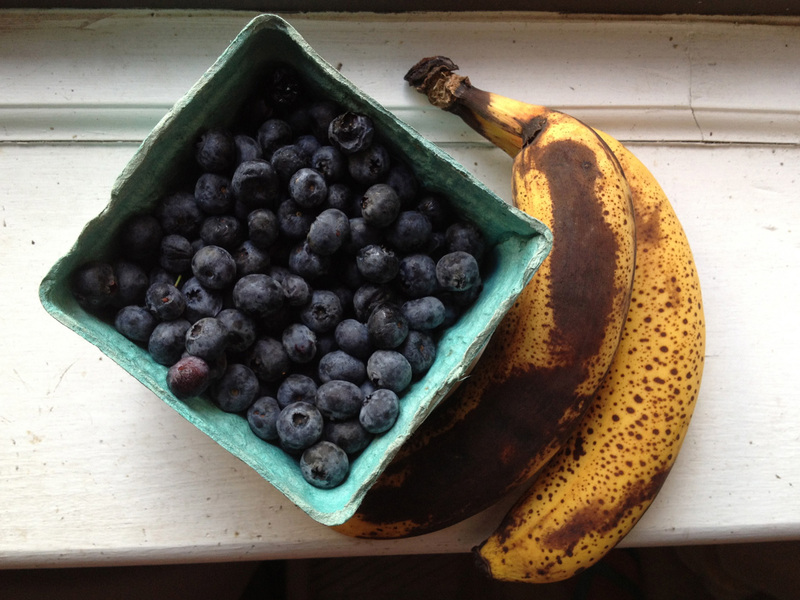 I gently folded in a diced banana and half a cup of blueberries. Scooped into a greased and floured muffin tin (maybe overfilled, I admit), topped with the crumble topping, and into the oven for 24 minutes. I knew I had a winner just minutes in. The apartment smelled like the fall harvest. Every corner was filled with the subtle scent of cinnamon and sweet, nutty, toasted oats. Success: there is an innate balance to these muffins. Enough sugar to sweeten, and enough salt to heighten all aspects of its flavor, pull it together, and make it sing. 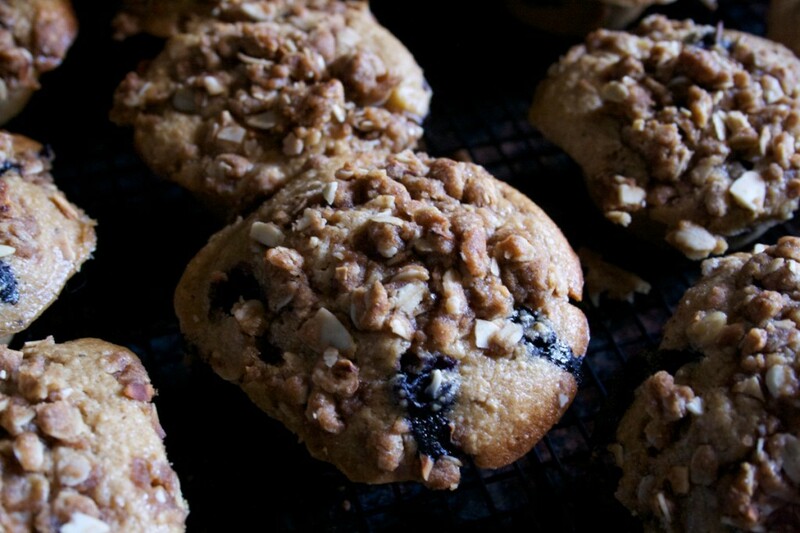 Moist, rich, and tender, these muffins are out of this world. Or, rather – like that exploding volcano – the very essence of it. This recipe is just a bit more time consuming than your regular dump-and-mix muffin recipe, but don’t be tempted to skip any steps. Toasting the oats and processing them yourself is every bit worth the minimal effort. 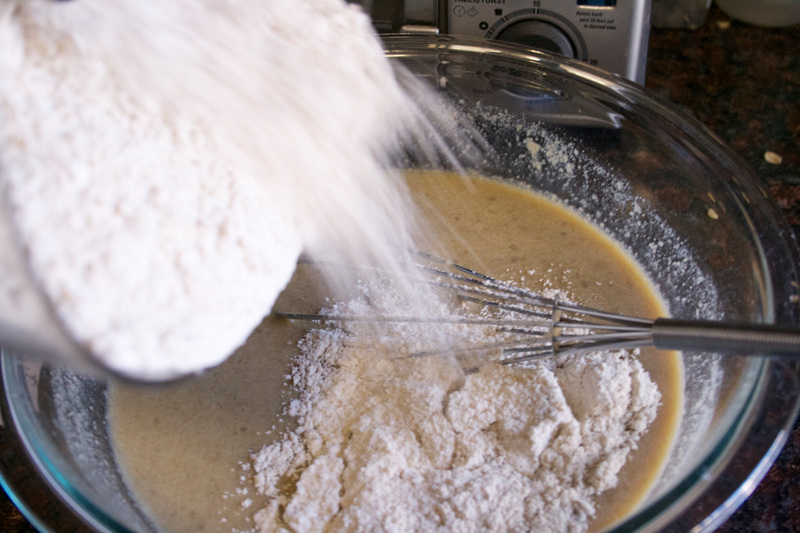 ATK’s tip: when folding dry ingredients into the wet, use a gentle, round, sweeping motion from the bottom of the batter to the top, tapping your whisk gently on the side of your bowl to release any clumps. I found it incredibly effective. Baked muffins can be kept in an airtight container or zippered bag for several days. To bring them back to life, warm them in a 300-degree oven for 10 minutes. I use my toaster oven for convenience. Grease and flour a 12-cup muffin tin (use a baking spray with flour for ease). Melt 2 tablespoons of butter in a skillet over medium heat. 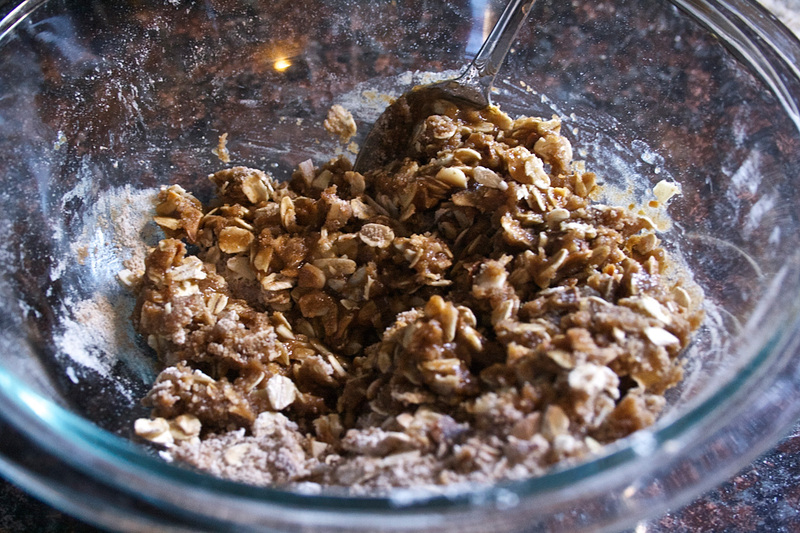 Add oats and cook, stirring frequently, until oats turn golden brown and smell incredibly fragrant, about 6-8 minutes. Transfer to a food processor and process into a fine meal, about 30 seconds. Add flour, salt, baking powder, baking soda, and cinnamon, and pulse until combined, about 3 pulses. Stir 6 tablespoons of melted butter and sugar together in a large bowl until smooth. Add milk and eggs and whisk thoroughly until smooth. Using whisk, gently fold half of the oat mixture into the wet, tapping whisk to release clumps. Repeat with the remaining half of oat mixture until no streaks of flour remain. 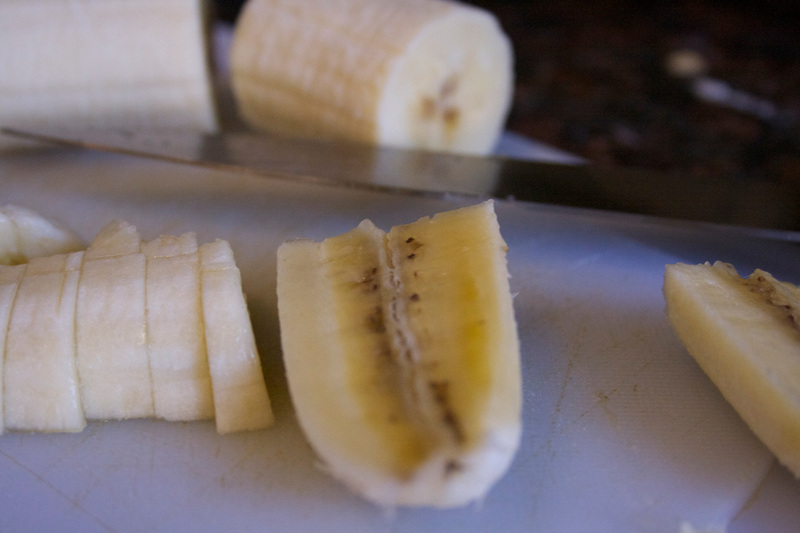 Very gently fold in bananas and blueberries. Set aside for 20 minutes to thicken. Meanwhile, adjust oven rack to middle position and heat to 375 degrees. 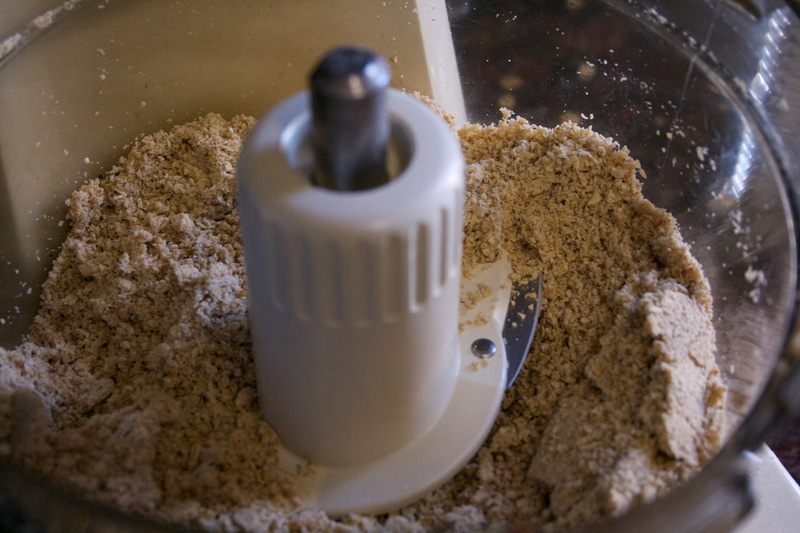 Prepare your topping: combine oats, flour, nuts, brown sugar, cinnamon, and salt in a medium bowl. Drizzle butter over top and stir to thoroughly combine. 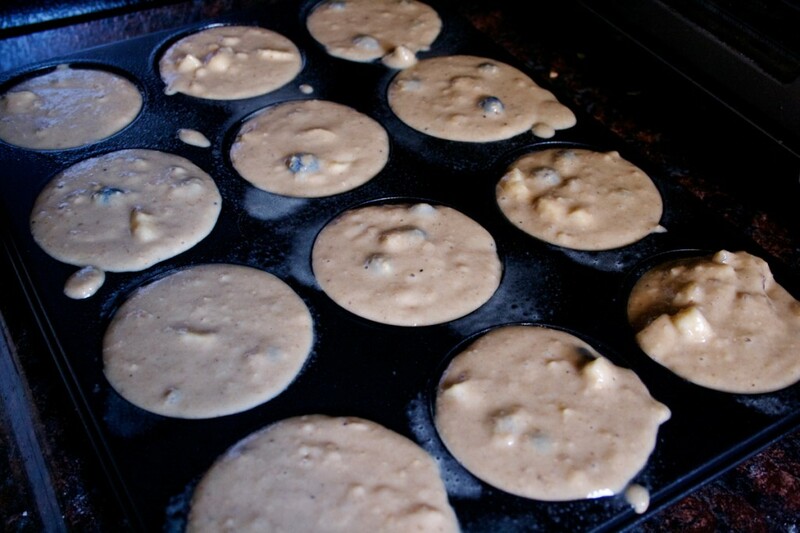 Fill each muffin cup until nearly full, using about ½ cup of batter in each. This recipe will likely yield extra batter because of the addition of fruit. Evenly sprinkle about 2 tablespoons of the topping over each muffin. Bake until a toothpick inserted into the center comes out clean, about 18-25 minutes, rotating halfway through baking. 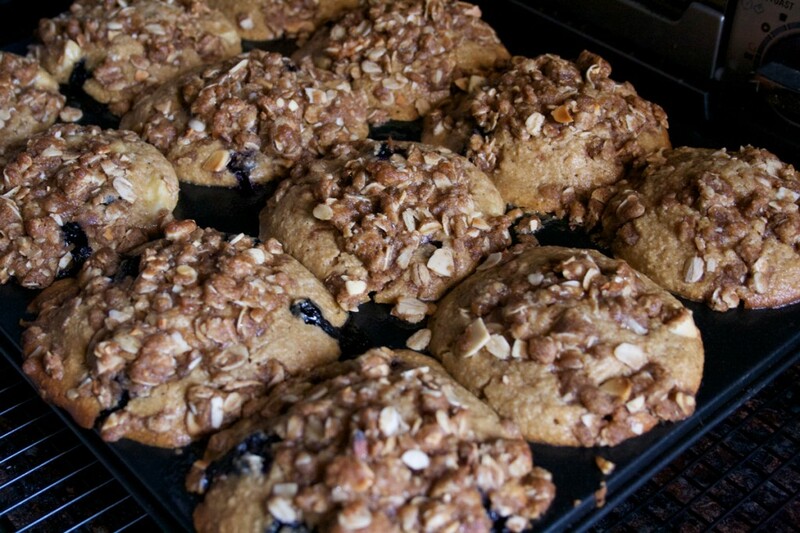 Let muffins cool in their tin on a wire rack for 10 minutes. Remove muffins and enjoy. Sarah..I made your muffins and they areDELISH! You know I am no baker, so I couldn’t believe how good they turned out. Your pictures and step by step directions made it all pretty simple. Now if I could just stop eating them!